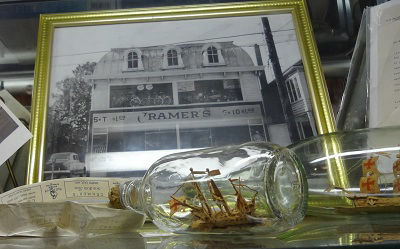 Our building is as old & interesting as the antiques inside. The building started its life as the Hotel Cecil over 100 years ago. Eventually the age of 5 & 10 stores in America came to a close. The new owner purchased the building & did an extensive renovation, keeping this historic building in beautiful shape for future generations. Every effort was made to keep the character of this old building intact. For example, the interesting wood paneling covering most of the inside walls of the first floor is actually the exterior wood siding redone and rehung. The floors are all original hardwood, and the beams were left exposed so you can see thick rough-hewn wood. 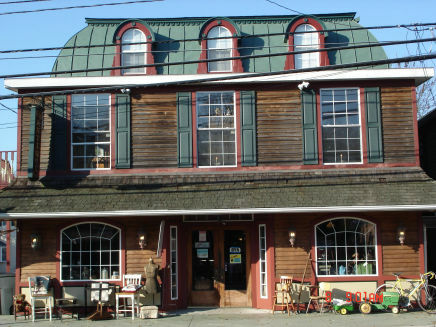 In 1999 the building reopened as the 5 & 10 Antique Market. Since then we have enjoyed wonderful success and have become a local landmark & attraction. We're the largest antique store in the county and we feature 80 different dealer spaces -- something for everyone.